A herd of goats has turned up in a town centre after bad weather drove the animals from their hilly home. Some of the wild herd of Kashmiri goats on the Great Orme in Llandudno, North Wales, have wandered into the town. 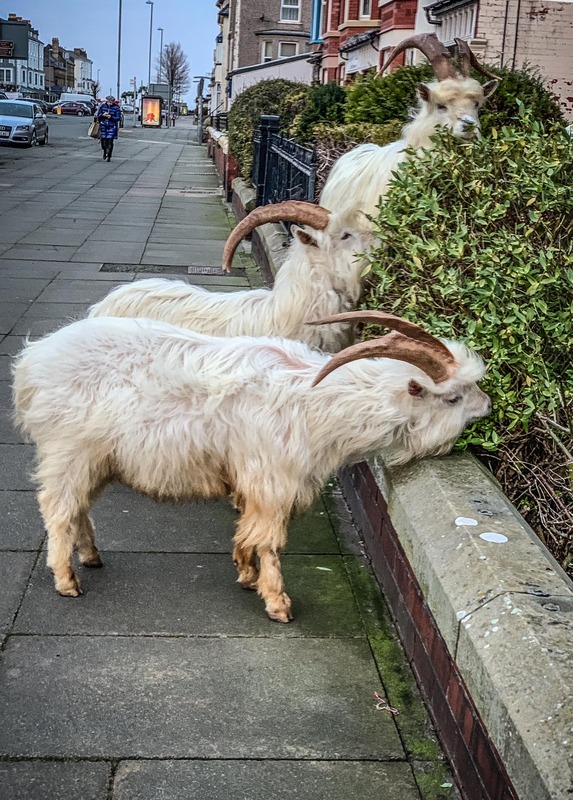 Pictures posted on social media show the goats holding up traffic and nibbling flowers in people’s gardens. The goats were a gift to Lord Mostyn from Queen Victoria and, although originally in the ownership of the Mostyn estate in Llandudno, the goats are regarded as wild animals.